In spite of the fact that railway infrastructure on the Indian sub-continent was constructed at great cost for its inhabitants, it cannot be denied that we eventually made it our own. It is difficult to think of life here without this giant iron behemoth, which conducts around nine billion trips every year, taking its users across villages, towns and cities. There is this lovely railway story told by Suresh Sharma in his book on tribal modernity in India. He talks about the Agarias, traditional iron smelters and sustainable miners of the forest. Far from being frightened by the steaming monstrous railways, they were willing to be equal partners in the process of incorporating it into their world. Unfortunately the British authorities had something else in mind. They banned Agarias from continuing with their traditional soft mining and pushed them into a role that was created for them through political evolutionary theory — that of forest gatherers and eventually unskilled labourers. 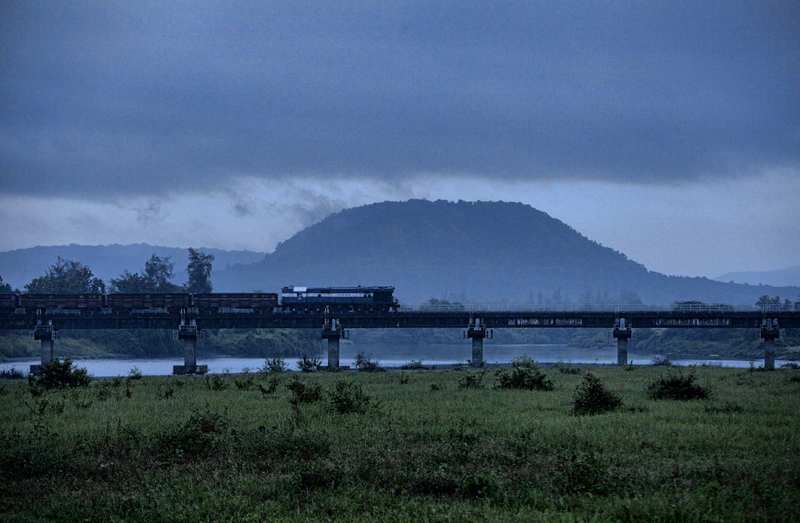 Like all imperial projects, the colonial railway saw itself as a harbinger of change. It built on the conceit that it had brought in a mammoth transformation to a place where people were traditional and static, living in disconnected village-habitats and old dysfunctional towns. They had to be pulled into modernity where their new presidency cities — all of which were created purely for the exploitation of natural resources from the sub-continent — would be their final destination. It was important for the colonial project to see itself as this great transformative power. Colonisation brought modernity and thus mobility to India. Wrong again! 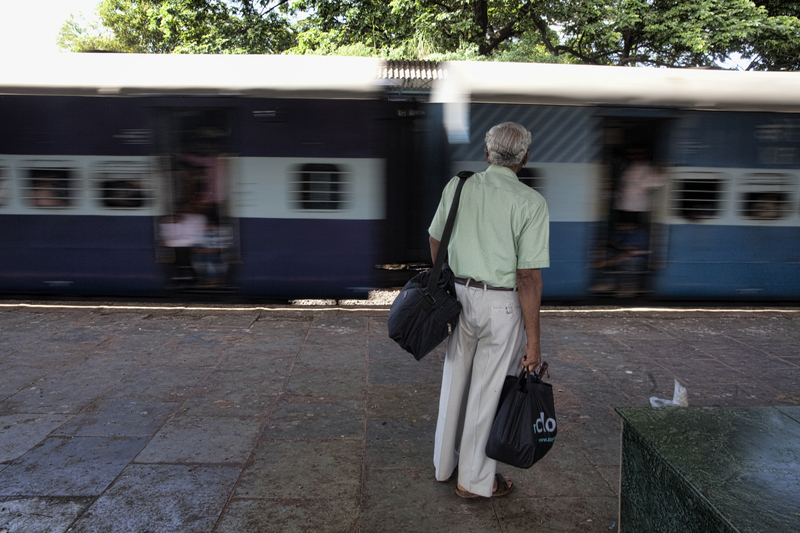 As this wonderful work Tracking Modernity: India’s Railway and the Culture of Mobility by Marian Aguiar tells us, the story of mobility is more layered. She argues that Indians were always hugely mobile. The agricultural foundations in ancestral villages were never about being static. On the contrary, migration — both seasonal and long-term — and movement from place to place for religious, economic or familial regions, were the norm. Besides the nomadic communities who had traditional migratory rights over large swathes of regional geographies, agrarian people too moved a lot. In non-farming seasons, men joined regional armies for example. Immediately before the British arrived, the Mughal Empire had thriving towns around artisanal industries which pulled in skilled and unskilled labour all the time. In her argument, the railways entered a highly active and mobile world and accelerated it. But it did not by any stretch of imagination inaugurate mobility in a supposedly static world. The railways entered a highly active and mobile world and accelerated it. But it did not by any stretch of imagination inaugurate mobility in a supposedly static world. The railways may actually have imposed narrower channels of movement. The railways may actually have imposed narrower channels of movement. Earlier, waterways and roadways moved in several directions, creating a multi-directional flow of opportunities. However, the point-to-point travels of the railways mostly headed towards the grand colonial presidency cities. This meant more restricted routes and greater centralisation! If we can be allowed to conjure up an alternative trajectory for the railways, re-imagining it on traditional lines of mobility that already existed, we would see a totally different constellation of towns, cities and habitats, networked on a different logic. One that may be more in tune with the expectations of millions of people, families and communities, which make up this fabric. On re-imagining the railways on traditional lines of mobility that already existed, we would see a totally different constellation of towns, cities and habitats, networked on a different logic, one that may be more in tune with the expectations of millions of people which make up this fabric. Why is it important to re-imagine? Well, so that it becomes clearer that the choices we are making today, like the bullet train between Ahmedabad and Mumbai are still based on a colonial model. It is emphasising one mobility channel at the expense of many others. In the process, it reinforces an old centripetal model of urbanisation, rather than one based on a constellation of towns and villages linked through trade and movement. “New India” may not be so Indian in spirit after all — but what’s even worse — it may not even be new. A first version of this article was published in The Hindu Sunday Magazine on 18.08.2018. 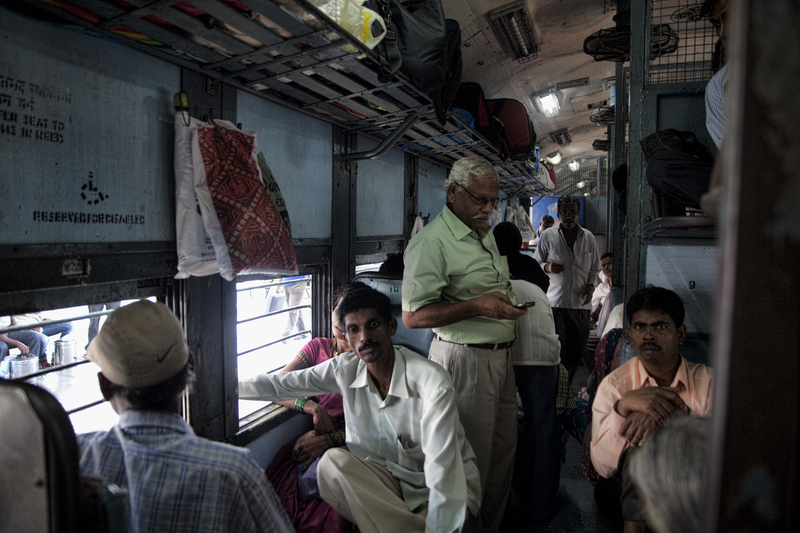 Indian trains augmenting the constant movement between cities, towns and villages. 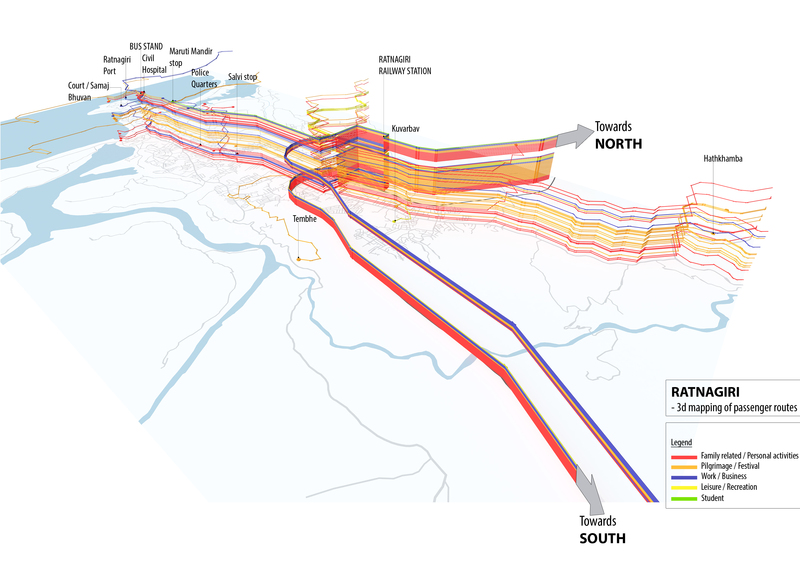 Mapping the causes and routes taken for people's movement in Ratnagiri from our research on Circulatory Urbanism. 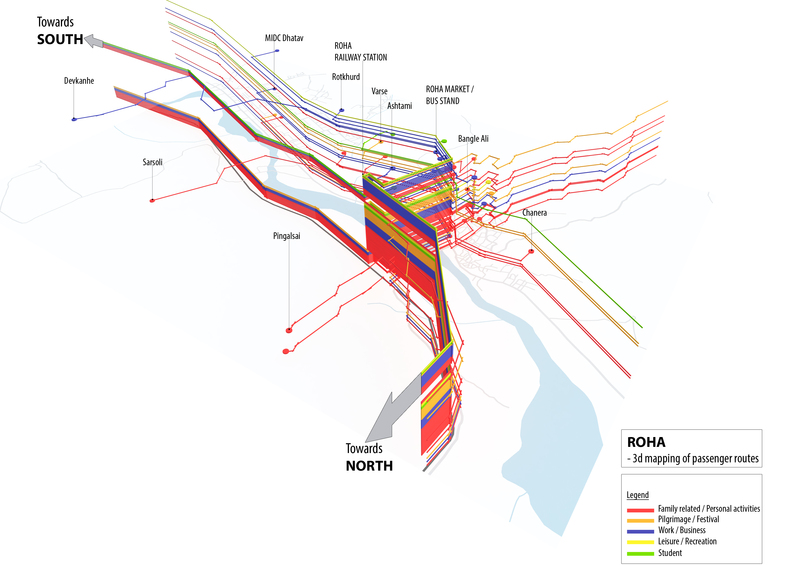 Mapping the causes and routes taken for people's movement in Roha from our research on Circulatory Urbanism. 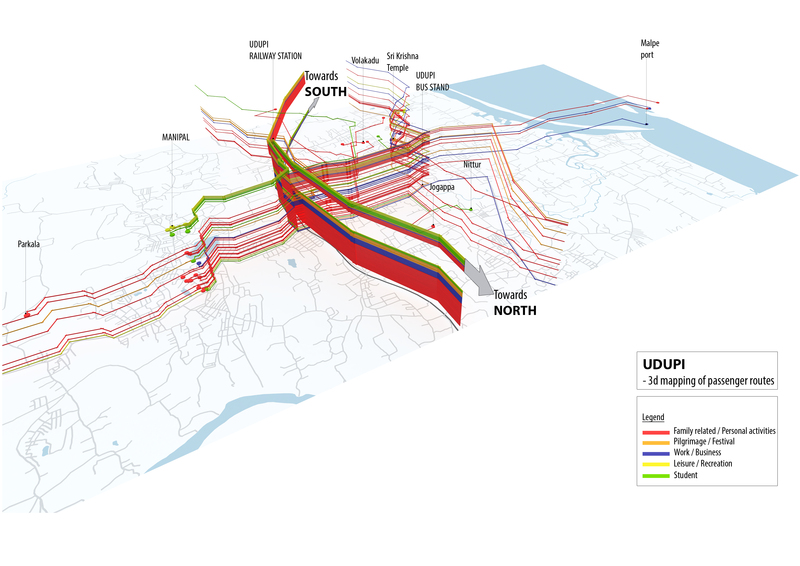 Mapping the causes and routes taken for people's movement in Udupi from our research on Circulatory Urbanism.